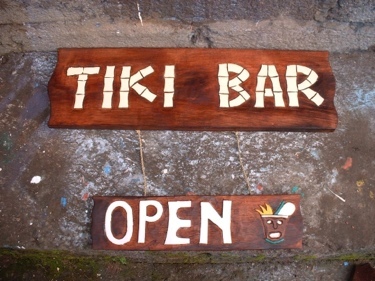 Here is a must have Tiki bar sign TIKI BAR OPEN. The sign has been hand carved and hand painted great piece of home decoration! Measurement: 24 inches long X 8 inches wide(62cm X 22 cm). Sign: pineapple with Hawaii Aloha. 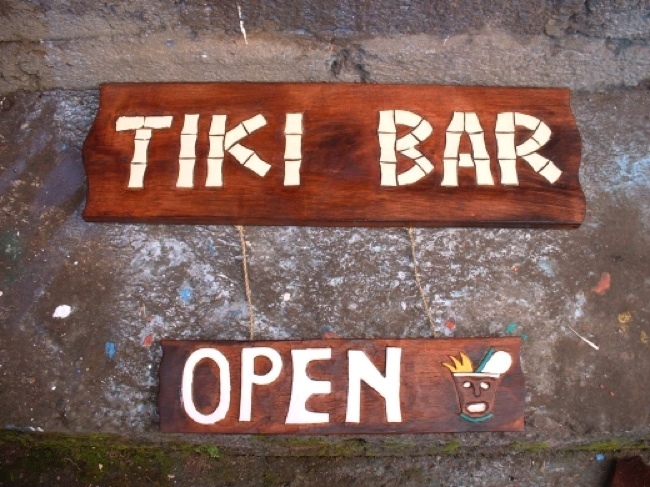 Great piece of decor for your tropical home or your outdoor area!